Thank you Hass Avocado Board for Sponsoring this recipe, video and the chance to win $200 dollars to one of the SpicyLatinaMom fans. Avocado Toasts, four ideas to prepare them for breakfast, lunch or snacks. Fresh avocados are so versatile: on a toast, tacos or in a salad,… avocados are the perfect combination for almost any dish! Today, I’d like to share with you 4 easy ideas for a perfect breakfast, a light dinner or a nice snack at any moment of the day. These are alternatives for a healthy and delicious lunch your kids will enjoy a lot, providing them with fiber and folate. I bet you all will become an avocado fan. Fresh Avocado Toasts…Yumi! Here we have four quite easy and quick options to fix a snack, a light dinner or breakfast. We are featuring Fresh Avocado, usually mistaken as a vegetable. Yep, the avocado is actually a fruit that is so versatile. You can combine it with both salty and sweet ingredients. Nutritionists advice to include fiber, usually in vegetables and fruits for they help to reduce the risk of a heart disease, obesity, and diabetes. The good news is that fresh avocado is a good source of fiber (3 gr per 50 gr serving). Dietary fiber adds bulk to the diet and can help you feel fuller faster, which can increase satiety and help manage weight. Moreover, its folic acid may reduce the risk of premature births and births defects. 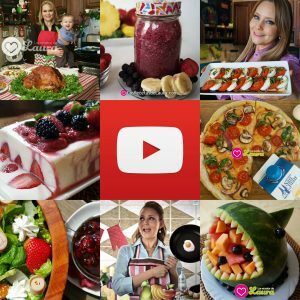 Fresh Avocados – Love One Today is giving a $200 dollars prize all you have to do is: Share this video from SpicyLatinaMom on your facebook and comment on the video which of the toasts is you favorite. *One (1) prize of a two-hundred dollar ($200) gift card. You must be 18+ and a US Citizen. Directions: Julienne the sweet peppers. Spread avocado on a toast. Add julienned peppers- better if combined. They’d look tasty! Directions: Cuts boiled eggs in slices. Spread avocado on a toast, and add slices of eggs. 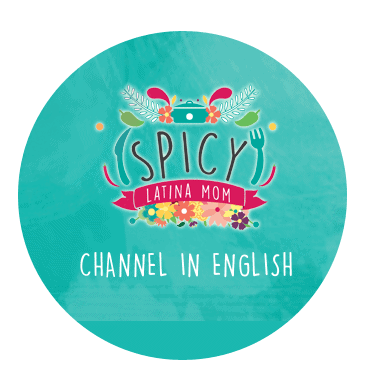 Show me how your recipe came out on Instagram with #SpicyLatinaMom and #LoveOneToday , and don´t forget to subscribe to my Youtube Channel and social media for everyday inspiration and more delicious recipes. For more recipes and avocados nutrition facts visit the website LoveOne Today and daily inspiration their Facebook page.